Take an extra moment when you look at this beast. Because your brain might automatically come up with an explanation to what you are seeing that is not entirely accurate. Terms like extravagant, unnecessary, extreme, and wasteful are likely to pop up in the minds of environmentally conscientious readers, but as I said, take a moment — and then read on. 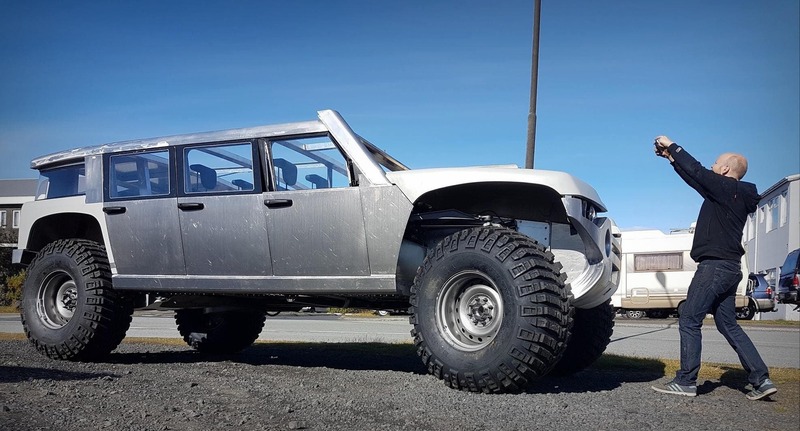 “The time has come to take the inevitable step beyond the Icelandic extreme Supertruck4×4 modifications. “Our prototype is powered by biogas from local landfill, with biodiesel as backup fuel for more remote areas, but electric mobility is the future, on road and off. We currently have a 2 million Euro grant application under consideration for our Extreme Mobility Electric Propulsion (EMEP) project, which is a core of our passenger transportation solution for areas of low or no infrastructure. This means attempting to cross the possibly toughest frontier of vehicle electrification — wilderness passenger travel. Well, someone has to try. Fossil fuel exhaust fumes have no place in pristine nature, we think. The EMEP technical concept entails use of components and concepts for electric propulsion with the least possible chances of leaving a group of paying passengers stranded in potentially lethal conditions, say, on a glacier or in a gully. So unproven bleeding edge tech would be a recipe for failure. We are working with a UK engineering service provider with a background in racing, including electric and hybrid racing, which as you know is now the foremost breeding ground for future electric mobility. This company is helping us identify the best current engineering compromise between efficiency, reliability and cost. 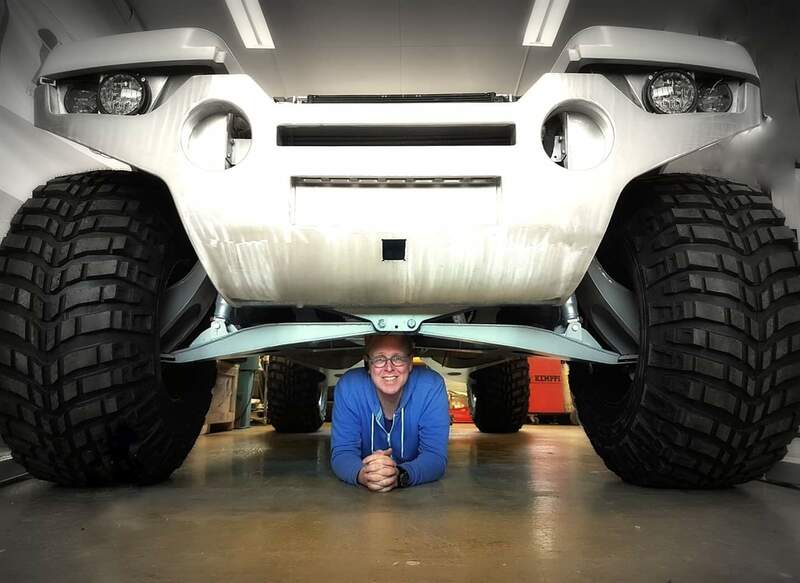 Our professional customers do not need up to 1,000 kW sprint abilities (Rivian, anyone? ), but one of the challenges we face is to enable constant state use of 200 — 300 kW to scale mountainsides, while wading soft ground like snow, causing extreme drag, for an hour or more. 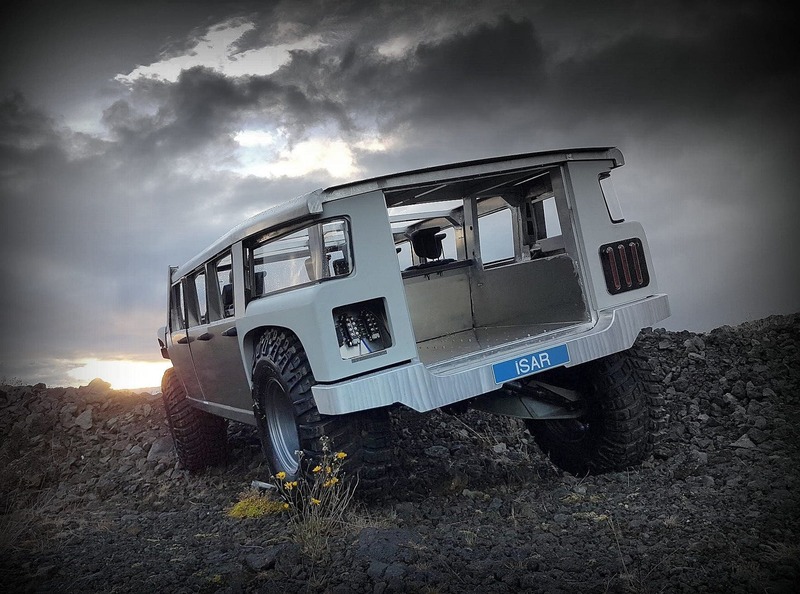 Such slogs have killed many a transmission and brought cooling systems to the brink in the highlands of Iceland. Look at that rear transmission and those chassis details. 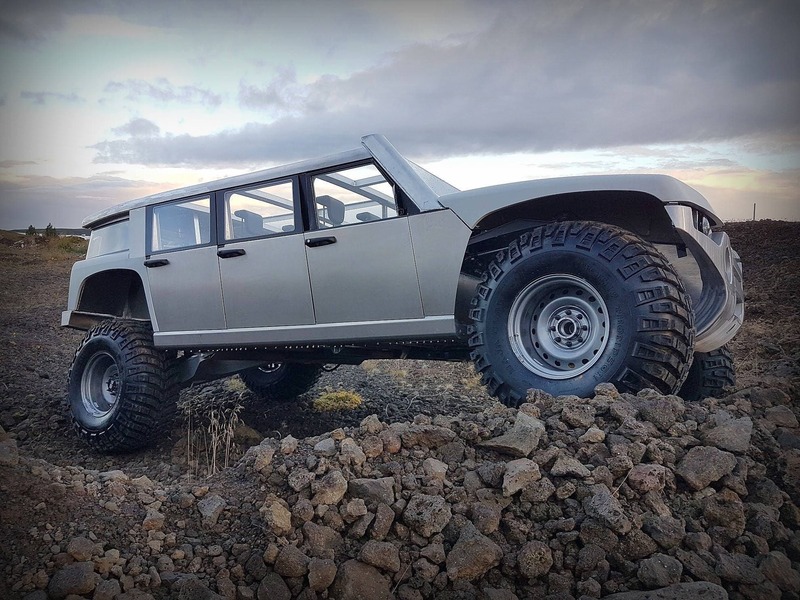 It’s built for strength, and at the same time, to protect the rotating parts that would otherwise leave you stranded if hit by large boulders. “It would be suicide to attempt to launch our highly innovative, first-in-the-world vehicle with unproven propulsion technology on top of everything else. We therefore keep EMEP as a separate project, pursued because of our genuine concern for our environment, locally and globally. Trillions will be invested in the near future to push fossil fuel off the roads. We aim to push fossil fuel off the off-roads. Nature deserves it. And we see an eventual business case in it. Given time. Ari also told me that there is an environmental perspective apart from energy use that he feels quite strongly about: It’s the sectioning and destruction of wildernesses and habitats through road building, to fit vehicles unfit for anything but smooth roads. 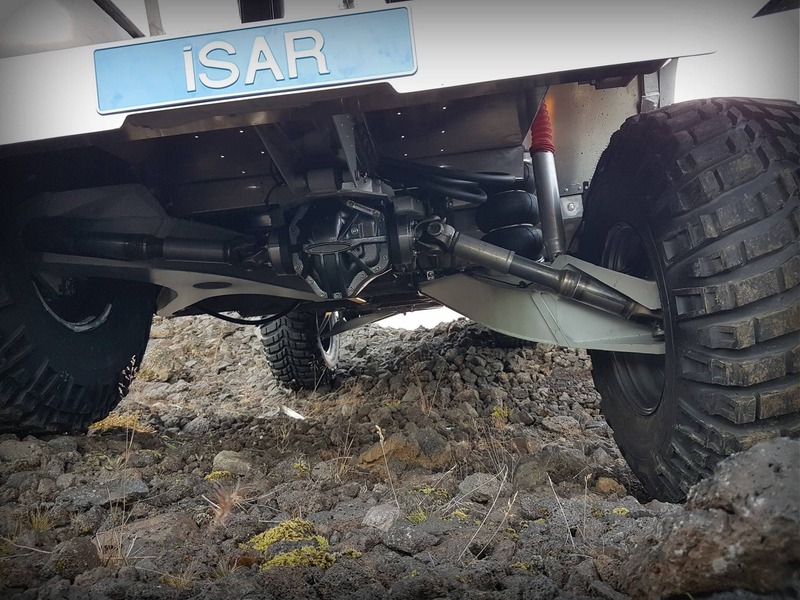 Most people obviously see road building as the only way of enabling travel at all, but people in Iceland that have been using Supertrucks with large, aired-down Low Ground Pressure tyres (i.e. balloon tyres) to travel to the indescribably beautiful and otherwise inaccessible wonders of fire and ice in the uninhabited highlands of Iceland, think differently. Next Think Business Travel is Unnecessary? Think Again.